Bluetooth must be activated on the mobile and the netbook. It had to look like this. To setup the PPP connection I used the gnome-ppp. The way through the menu was system => settings => network settings. There you should find a point “mobile internet”. For me it worked with the default settings. and the correct connection number. 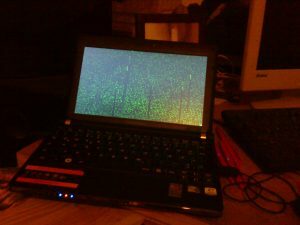 As OS I an used UNR – Ubuntu Netbook remix. Some projects I want to realize : using it with my mobile for internet , navigation ( gpsd ) and others thing. One of the more humorous uses of nagios is the possibility to check the weather. Then you have to register at weather.com to use the webservice and get a userid and a license.